In May 2018, a German thinktank has kicked off an innovation project to develop practical guidelines for EPC companies as well as for investors, owners and operators how to approach innovative business models for industrial projects and operations, from E-P-C to O&M. Initiators of this project include lead consultants of the EPC, automotive and aviation industry to enable learning from across the boundaries. The objective of this project is to describe concrete measures with the potential to unleash the hidden potentials in our industry and to save up to 50% of CAPEX. The result of this study will be published in April 2019. We look forward to getting into a dialogue with you. The traditional way of performing EPC business does not work any longer. The way how we manage the Engineering, Procurement and Construction (EPC) of industrial plants (and other businesses) today has not very much changed in the past 50 years. The plants we build are technically not much different from the ones built 50 years ago. The oil and gas industry is world champion – in avoiding digitalization. The EPC industry as a whole is spiritless in driving innovations, compared to automotive or even the IT sector. It is an open secret that productivity has not increased since 20 years. Consequently in the global competition for investments the EPC business is clearly the looser. Within the entire value chain from CAPEX to OPEX, from the E-P-C of industrial plants to the operation and maintenance, we burn money through disastrous project planning and execution, and inefficient operations. We pay banks and lawyers and insurances that do not add any value to our basic business objectives. The CII (Construction Industry Institute, Texas) determined that 40% of the project costs are just transactional costs – imagine the potential cutting them down! The good news is: the world needs industrial plants! And still managers and engineers are highly passionate about executing such ventures with success. The financial crisis in 2008 was an extreme hit to the EPC and O&M business, from which this industry is still suffering. Low commodity prices during the last years were discouraging investors to finance in industrial production. Consequently the backlog of 10 lost years for the EPC industry is immense. But: the world population is growing; production output will continue to grow on the global scale, as the need to build new production facilities will do. The engine of EPC business will restart. But then, nothing will be the same as before 2008. Because the old business model in EPC has no future. If the EPC business would work as effective as the automotive or aviation industry we were able to save up to 50% of costs (CAPEX/ OPEX) along the value chain. This and nothing less must be the target. This and nothing less will unleash the moneys from investors. There is not a lack of money. There is a lack of attractiveness to collect it. We are inviting experts that are willing to share their opinions, provide feedback on our concepts and findings or provide insights in innovative practices. Send us your contact details to info@epc-4-0.com and we’ll get in touch with you. The O&M business is not attractive because it is facing two major business risks: the fluctuation risk of commodity prices, and the performance risks of plant operations. The EPC business is not attractive because it is facing two major business risks: large up- or down cycles in order intake lead to large amplitudes in the utilization (and efficiency) of capacities and consequently profitability, which is not appreciated by the stock market. Furthermore profits are low due to projects failing to meet the targets. The study will decouple and redistribute the risks by disaggregating the owner/operator into the investor function (which could be a fund), the trader selling the final product and taking the market risks and the plant operator delivering nothing else than plant performance. This approach opens the way to attract alternatives sources of investment and adjusts the role of banks for financing the projects. The traditional approach in EPC business to execute a project based on a lump-sum turn-key (LSTK) contract between owner/ operator and EPC contractor is adverse to the idea of joint collaboration. The LSTK contract is causing each contractual party to focus on its claims against the other party and adds additional contingencies to budgets and schedules to protect against claims and to deal with uncertainties. The study will develop an approach to marry CAPEX and OPEX and to form one integrated project team with the key players for the execution of the CAPEX project. 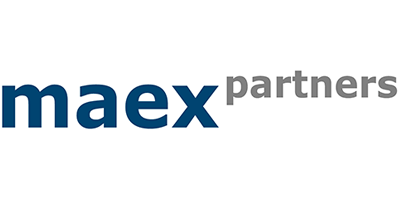 Project Alliance Contracts are one model, where each party is incentivized for optimizing both the CAPEX and the OPEX of the plant. Uncertainties and the consequential contingency costs are reduced due to open books. Sustainable long-term-goals shall prevail before short-term deadlines. The traditional approach contracting the work from top (owner/ operator) to bottom through several levels to the EPC contractor, subcontractors and their sub-suppliers in a contractual hierarchy generates losses of 40% of project costs as transactional costs. Relational contracting rather than roll-up contracts will flatten the supply chain, replacing the contracting hierarchy with a network. Modularization and standardization are good measures to improve supply chain integration into the plant design, but standardization to cut CAPEX shall not compromise any optimization of OPEX. Many components however are over-specified and costs can be saved by eliminating these over-specifications. Scalable and agile platform strategies such as in automotive design permit standardization without eliminating necessary variances. The traditional approach is to buy and own the equipment. A different approach is to lease equipment over a period of time, which will level CAPEX costs. Alternatively equipment may be paid-per-use, where the equipment supplier remains the owner and will maintain the equipment over the life-time. This option could be attractive for suppliers of complex machinery, not only because of the profit generated in service contracts, but also because of the opportunity to feed-back experiences from operation and maintenance into the design improvements. Labor markets in high-cost countries do not provide sufficient qualified resources, with the consequence of further increasing labor costs. Companies with global hubs are shifting qualified work to low-cost countries. Fluctuations of staff (job-hopping), as experienced in Asia, will become common also in high-cost countries. Highly qualified staff is not willing to accept cuts, but is moving on where the attractive works are. The approach is to replace hierarchies by network organizations that develop the flexibility to upscale and downscale their capacities to accommodate the huge upturn and downturn cycles in EPC business. The study will question the (traditionally overlapping) position of the players that contribute along the value chain for industrial projects: what is their core competency and what are competencies or functions that other players may contribute better, more efficiently, more flexibly, with a higher level of control for the associated risks? Potential new players might position themselves as providers of EPCaaS (EPC as a Service) and/ or PMC. They would offer a software-based solution and apply Building Information Modelling (BIM) managing the development and construction of a capital project. The opportunities of digitalization and industry 4.0 will require the EPC contractor and the owner/ operator to build a partnership along the asset life cycle. The real value can be generated when the technology provider shares his engineering data with the operator, and the operator shares his O&M data with the technology provider. The analysis of “big data” from multiple plants leads to plant and process improvements that both technology provider and operator will benefit from. Projects fail, because the established and known project management methods and tools are not applied. This is not about innovation; this is about bridging the gap between theory and reality, between knowing what’s wrong and doing what’s right. The problem is not that processes and tools must be invented; the problem is the change of mindset in the organizations and their people, and how to manage a culture of change. Agile project management methods are successfully applied in other industries, especially in innovation driven businesses, such as IT. There may be a conflict between the necessity to digitalize the project management processes with controlled data workflows that may lack flexibility and the trend to agile project management methods. This conflict need to be addressed and resolved. 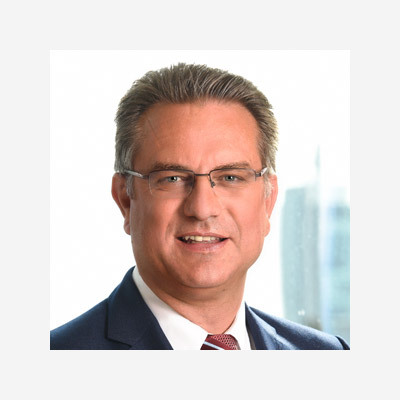 Frank-Peter Ritsche has 25 years of experience in EPC projects world-wide. He is certified PMP® since 2005 and holds a mechanical engineering degree from the Technical University of Braunschweig (Germany). He held both operational project management and strategic positions covering the engineering, procurement and construction of conventional and nuclear power plants as well as in the chemical industry, with globally operating companies such as SIEMENS, FRAMATOME, AREVA and THYSSENKRUPP. He gained his on-site experience with major projects in Taiwan, Spain, Slovakia, Japan, Singapore, Finland and Egypt. He is currently active as responsible project director for large chemical EPC projects. 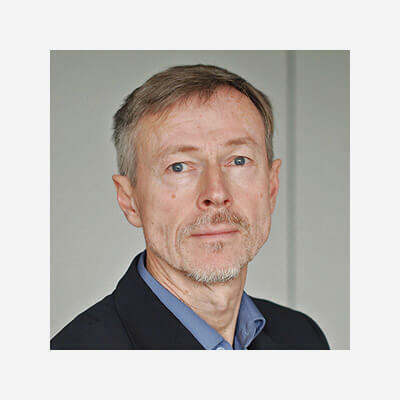 Mr. Ritsche is founder of the “ProjectTeam® Global Experts Network”, the editor of the “Project Management Handbook for EPC” and based in Duesseldorf. 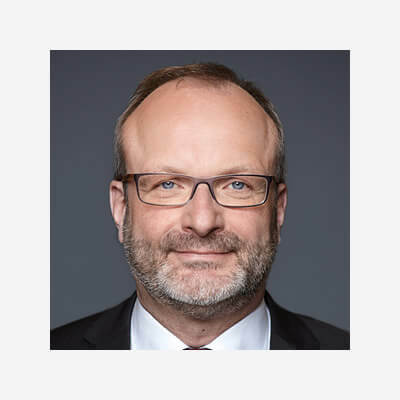 Reinhard Wagner has been active for more than 30 years in the field of project- related leadership, in such diverse sectors as Air Defense, Automotive Engineering, and Machinery, as well as various not-for-profit organizations. As a Certified Projects Director (IPMA Level A), he has proven experience in managing projects, programmes and project portfolios in complex and dynamic contexts. 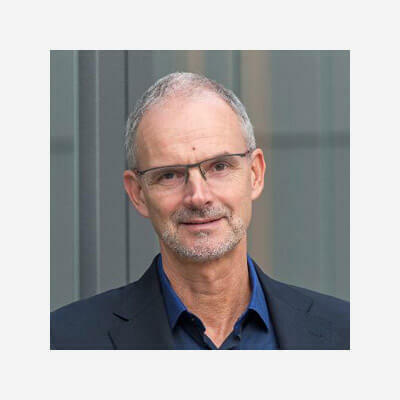 For more than 15 years, he has been actively involved in the development of project, programme and portfolio management standards, for example as Convenor of the ISO 21500 “Guidance on Project Management” and the ISO 21503 “Guidance on Programme Management”. 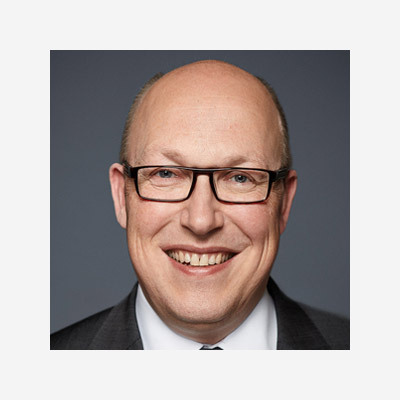 Reinhard Wagner is Past President of IPMA and Chairman of the Council, Honorary Chairman of GPM (the German Project Management Association), as well as Managing Director of Tiba Managementberatung GmbH. Project management already appealed to the economics graduate during his degree studies. Till H. Balser has been a pioneer and campaigner on the topic of project management in Germany for 35 years. Over time he became increasingly aware that PM performance cannot be improved by using software alone. Considering this he developed his systemic overall approach to PM, known as the "four-axis cross". This approach recognizes the introduction/ optimization of PM in companies as an integrative process made up of organizational development, qualification/staff development, method and process standardization and technological support. With TIBA he has established an institute that provides expert advice, training and support for all issues relating to project management. 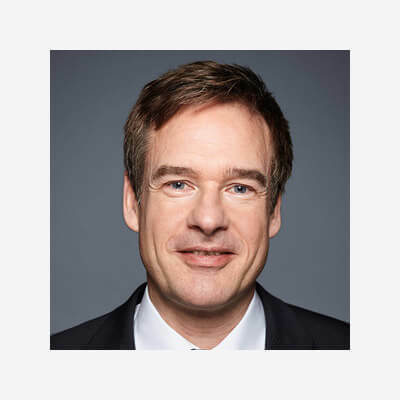 Thorsten Helmich is a consultant with management experience. After working for several years in the power plant industry for numerous heavy machinery and plant manufacturers, he went on as a consultant to develop new strategies, optimize business processes in EPC business, design and implement global engineering organizations.  Most recently, he has focused on and plant modularization site management. 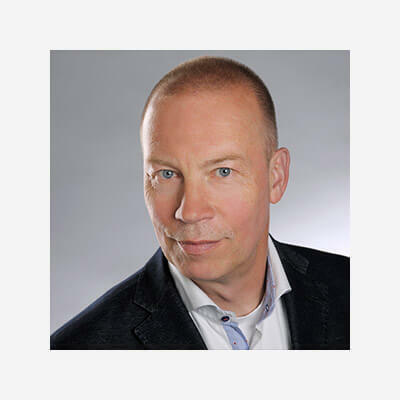 Patrik Schlemmer is an experienced manager with long-term industry experience in the aviation, automotive and electronics industry. He held senior positions as Quality Director Europe at an US based Automotive supplier, Sales & Marketing Manager of a leading global electronic component distributor as well as Managing Director of an aircraft cabin equipment manufacturer. His professional focus is on the global Aerospace Industry and Digital Transformation of its value chain. Besides this his consulting experience also includes the integration of management systems (IMS) within the EPC business. Mark Steinkamp is a consultant, coach and conflict management specialist. Building on his early career experiences in large infrastructure projects, he has as CFO led a number of global businesses in power generation, transmission and in airport logistics. For nearly a decade he is consulting for EPC’s and other global players on good project management and leadership. He has extensive international and intercultural experience, especially in M&A and MBO projects, speaks English, German and French. 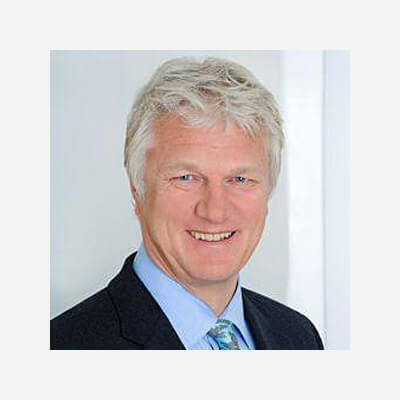 Originally trained in Finance he holds a Coaching and Consulting for Change Masters from INSEAD, a Mediation certificate and a degree in Adjudication. 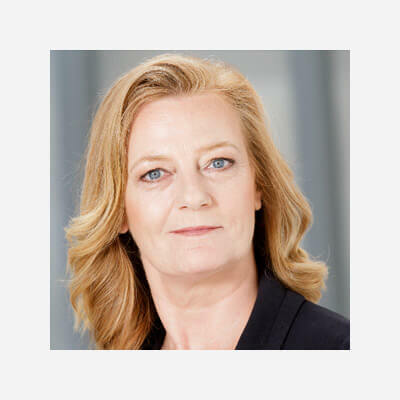 Anke is a highly experienced Executive Manager with more than 16 years’ experience as CFO / Managing Director with focus on General Management, Finance and Controlling in different production companies. Her focus industries are steel and plant engineering. In combination with her knowledge and ability to analyze, introduce or adapt state of the art process tools she achieved sustainable efforts when restructuring and realigning companies by initially stabilizing financials and cost basis and subsequently establishing new business plans based on growth and customer orientation. As a decisive and assertive international top manager she has a passion for good leadership and development as well as motivation of people and organizations. She always wants to know the story behind the numbers. Guenter holds a master degree in electrical engineering and worked for more than 40 years in this field worldwide. Based on his early experience in managing major projects in infrastructure and communication intelligence he has as CEO led a number of global businesses in industrial services, airport logistics and infrastructure projects. At last for more than 5 years he worked – initially engaged as the crisis manager for a huge still mill complex and later on as a member of the board of this company- in Brazil. Having lived for almost 20 years in the Middle East and more than 5 years in South America he has extraordinary inter cultural experience. 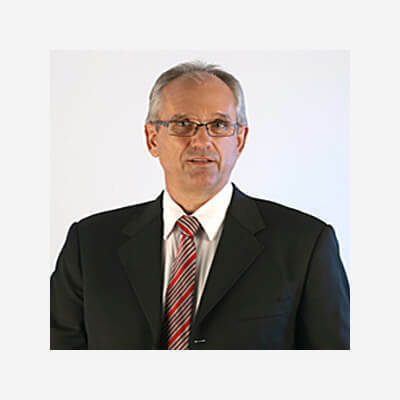 Wolfgang Bigott is an internationally highly experienced (HR) Executive Manager with 30 years business background. He focused on strategic redirection of business and HR structures towards business challenges and changes over decades. Successful communications as well as operational transformation of complex changes together with managers and employees were an integral part always. Wolfgang has a broad background along complete value chains in diverse industries, in particular in plant engineering and construction. In numerous situations he successfully organized solution oriented leadership and collaboration as an executive, project manager, coach, mentor and mediator. Wolfgang helps companies organizing complex changes towards sustainable business successes. 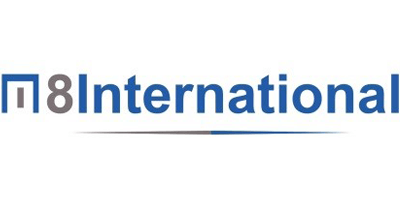 At M8International he is covering Human Resources and Competency Management aspects. Ken has extensive international consulting experience working for corporations including Siemens, thyssenkrupp and Toshiba in the fields of asset/ maintenance management strategy and execution, outsourcing of maintenance in large industrial organizations based on performance-based contracts, and project management. He worked 35 years in the pulp and paper industry, steel industry and mining in Australia and internationally. Ken returned to Melbourne after 7 years of international work to take up a position assisting GHD Advisory to develop the Asset Management business across the GHD organization in the areas of industry, energy & resources and infrastructure & defense. 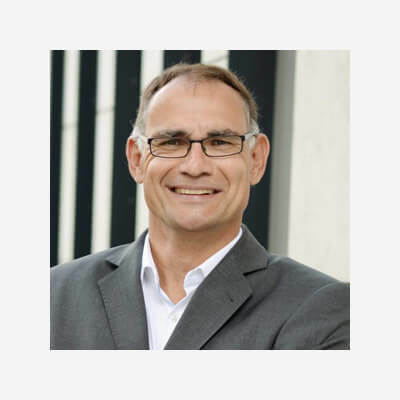 Marc Artmeyer has vast management experience in manufacturing; as a consultant, he develops new strategies and optimizes business processes in plant manufacturing for numerous machinery and plant manufacturers. His most recent focus was on competitive analysis, production systems and optimization of maintenance processes as well as the potentials of Industry 4.0. Furthermore, he is conducting consulting activities in the field strategy, product development, technology evaluation, operational excellence and benchmarking in engineering and manufacturing industry. ProjectTeam® is editor of the „Project Management Handbook for EPC“ and maintains a „Global Experts Network“ of cooperation- and licensing partners in the field of project management consulting and support for the EPC of industrial plants. ProjectTeam® in cooperation with its partners world-wide has started a training- and certification program for Project Managers in EPC, the „EPCP® - EPC Professional“. The core competence of Tiba is the introduction and optimization of Project Management. Through its management, consulting and training services, Tiba has supported leading companies worldwide since 1989 whose business success largely depends on the quality of their Project Management. 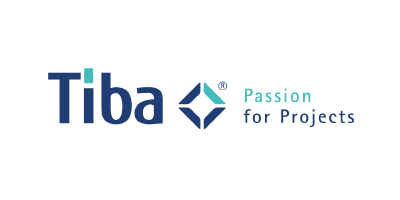 With its experts and partners, Tiba ranks among the top consulting firms for Project Management in Germany. We are experienced consultants with industrial backgrounds as well as a large network of specialists. We support multinationals and small and medium-sized businesses worldwide. Services are holistic in approach: from process optimization to radical reductions in cycle times and turnaround to digitization and Industry 4.0. We also actively support implementation and assist your team with operational realization. 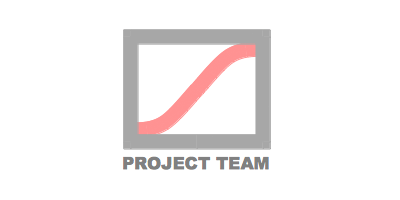 We are a project management consultancy, a team of crisis proven executives. We help leaders assess new and critical projects. We identify levers for action like critical path or interface management. We coach the implementation. We cover engineering, finance and legal aspects. We are psychologically informed and make the unconscious transparent. We help you reaching where you want to go. 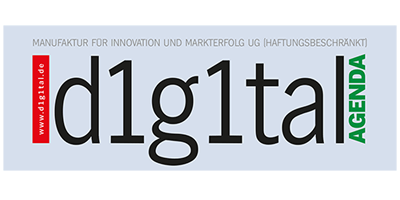 d1g1tal AGENDA addresses the culture of (digital) entrepreneurship and thus promoting all types of engineering-driven innovation. In addition to a website and an app, a quarterly publication, educational services, (case) studies, and consulting in the form of communication project development around subjects of digitalization are offered.